Peacefully at home on 10 April 2019, aged 86 years. Loving husband of the late Jill; father of John and the late Aneta, Ian and Nga, Deborah and Brett; grandfather of Ashley, Brooke, Hoani, Danyon and pending great-grandfather. Special thanks to the team at Te Omanga Hospice for their care of Ron. 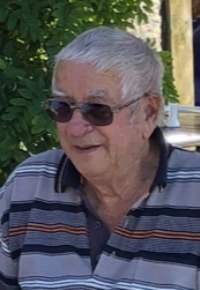 In lieu of flowers, donations to the Te Omanga Hospice or the Wellington free Ambulance would be appreciated and can be left at Ron’s service. Messages to ‘the West family’ can be placed in Ron’s tribute book above or posted c/- PO Box 44-176, Lower Hutt. Ron’s funeral service will be held at the Upper Hutt Cosmopolitan Club, 11 Logan Street, Upper Hutt on Monday 15th April at 11am, thereafter private cremation.